In recent months much has been made over the potential incursion of ARM into Intel’s tightly held server markets, and for good reason. ARM’s general focus on SoCs for consumer devices like phones and tablets has treated the company and its partners well over the past few years, but with continued upwards and outwards growth of the ARM ecosystem, ARM and its partners have been looking to expand into new markets. With that in mind they have turned their eyes towards servers, a somewhat small but very lucrative market that offers much greater profitability than the cutthroat consumer space. ARM’s leading edge partners like Calxeda have already been toying with the concept, creating a new class of microserver based around utilizing many ARM cores to create a high density, highly threaded server with weak per-thread performance but strong overall performance, an ideal setup for shared hosting and other subsets of sever workloads. Of course ARM’s existing 32bit ARMv7 designs can only go so far, leading to ARM taking a more direct shot across Intel’s bow with the announcement of their new 64bit ARMv8 ISA and parts such as Cortex A57. ARM and their partners believe in the potential of the microserver concept, and ARMv8 will be the ISA that lets them seriously chase the concept. But before they can get that far they must face the 800lb gorilla of the server world: Intel. Intel for their part jealously guards the server market, looking to hold onto those profitable markets that have driven Intel’s own growth and phenomenal profits. 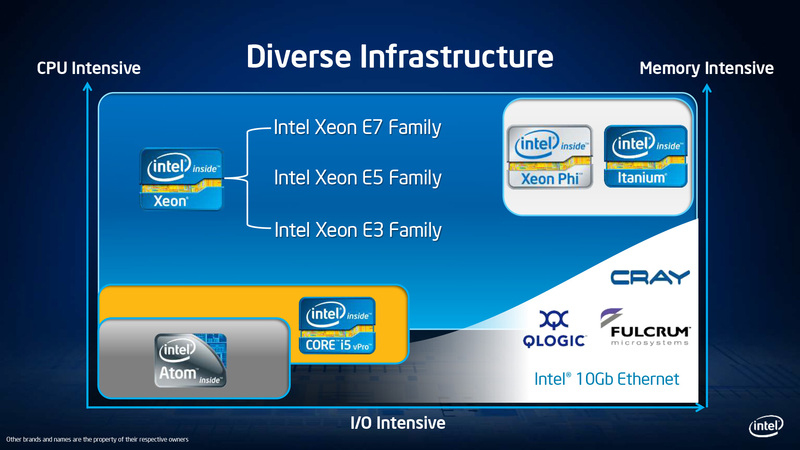 Though Intel’s primary focus has continued to be on their Core architecture derived server parts, the company has also indirectly flirted with the concept of microservers, with ex-customer (and now AMD subsidiary) SeaMicro building one of the first server businesses based around Intel’s Atom processors. SeaMicro may be gone now, but Intel has continued to work on the technology, and with ARM drumming up interest in microservers ahead of their entrance to the market next year, Intel will be making the first move. To that end, today Intel is launching the Atom S1200 series, Intel’s first Atom processors designed specifically for the server market. Previously going by the codename Centerton, the Atom S1200 series is based around Intel’s existing 32nm Saltwell architecture, utilizing Intel’s low-power SoC-ready CPU cores in a new design better suited for the server market. Centerton is for the most part very similar to Intel’s existing 32nm Cedarview Atoms, operating with a pair of Saltwell cores at between 1.6GHz and 2GHz depending on the specific SKU. 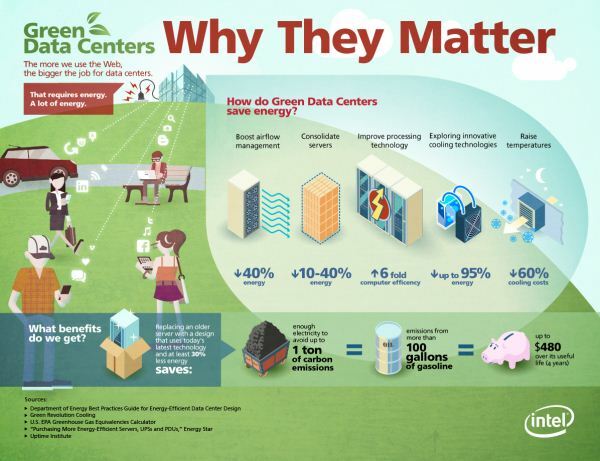 The key difference however is that Centerton supports a bevy of server-grade features that the consumer-focused Cedarview did not; Centerton adds support for Intel’s VT virtualization technology, 4 more PCIe lanes (for a total of 8), and most importantly support for ECC memory. Though Intel has not confirmed it, coupled with the fact that Centerton uses a new socket (FCBGA1283), we believe that Centerton is a new Atom design rather than just being a server-branded version of Cedarview. In any case Centerton represents a big step up for Intel in the server market by finally offering an Atom-level processor with the ECC support that server vendors need to offer sever-grade reliability. The Atom S1200 family will be composed of 3 parts, the S1220, the S1240, and S1260. As implied by the model number, the S1220 will be Intel’s entry-level part, clocked at 1.6GHz with an 8.1W TDP. Beyond that the family splits a bit. The S1240 will be Intel’s lowest-power part and the part most directly designed to take on ARM designs, clocked at 1.6GHz like the S1220 but operating a full 2W lower at 6.1W. Finally the S1260 will be Intel’s top-performance part, operating 25% faster at 2Ghz with the highest TDP at 8.5W. All of these parts are shipping today; Intel hasn’t given us the specific prices, but pricing starts at $54, presumably for the S1220. For their part Intel is looking to head off any ARM incursion into servers by not only being the first CPU vendor to release micro/high-density server CPUs with 64bit support and ECC support, but they also intend to hold off ARM by leveraging the existing x86 software ecosystem and software compatibility with their Xeon processors. This also means that Intel has been able to tap their existing partner network, having secured design wins from Dell, HP, Supermicro, and others. For Intel’s customers this makes the S1200 effectively a continuation of Intel’s existing technology, which can make adoption easier than having to jump to a completely new platform with ARM. As far as performance goes it will be some time until we have a good idea of how ARM-based processors stack up against the S1200 series, but Intel and HP have already released some generalized performance data comparing the S1200 series to Xeons. As expected, performance is going to be heavily dependent on the nature of the workload, with the S1200 designed for and exceling at heavily threaded, simple tasks, while coming up short in lightly threaded scenarios that need bigger, faster cores. Given the relatively low pricing of these processors, it will be in Intel’s interests to ensure that they are complementary to their existing Xeon processors and not significantly competitive. Ultimately there is clear customer interest in servers designed to efficiently handle highly-threaded/low-intensity workloads, and with the Atom S1200 series Intel finally has a server-grade product capable of meeting the needs of that market. At the same time microservers are just but one segment of the complete server market and for the foreseeable future Intel’s traditional Xeon processors will remain as Intel’s biggest source of server revenue, but with the ever-increasing emphasis on power efficiency this is not something Intel could have afforded to pass up. Meanwhile by launching first Intel will get to set the stage for the micro/high-density server market. The Atom S1200 series is far more important for Intel than just a defense against an ARM incursion into the server market, but at the end of the day that may just be the most important role it plays. 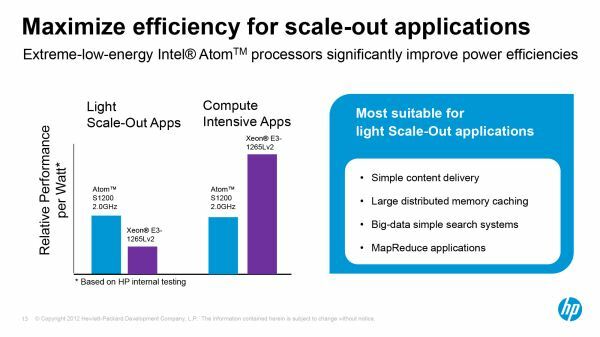 ARM has shown that they are a capable competitor, and in turn Intel will need to show why they are called the 800lb gorilla of CPUs. Wrapping things up, along with the announcement of the Atom S1200 series, Intel also released a very general roadmap of where they intend to take their new server CPU segment. Centerton is not just a one-off product, but rather the first product in a new range of server CPUs. 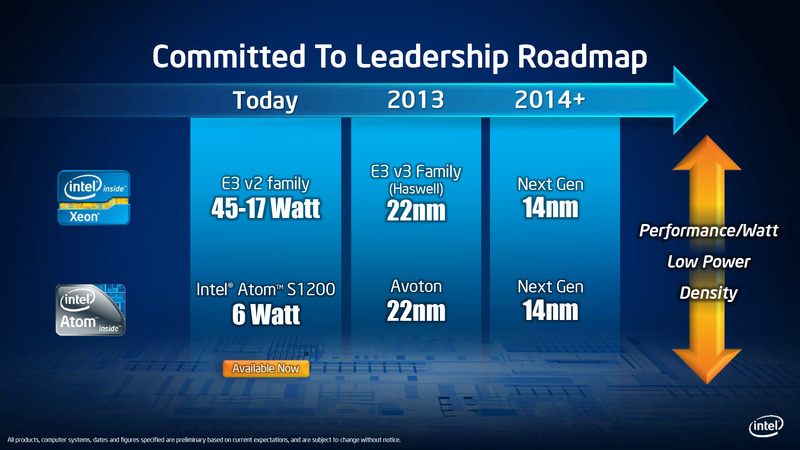 In 2013 Intel will release Avoton, Centerton’s successor and based on Intel’s 22nm process. Based on Intel’s previous roadmaps we know that 22nm is also supposed to coincide with the launch of Intel’s new Silvermont architecture, so it’s reasonable to assume that Avoton will be Intel’s Silvermont-based processor for servers. Processors based on the ARMv8 ISA are not expected to launch until late in the year, so it’s possible that ARM and its partners will be going up against Avoton rather than Centerton/S1200. 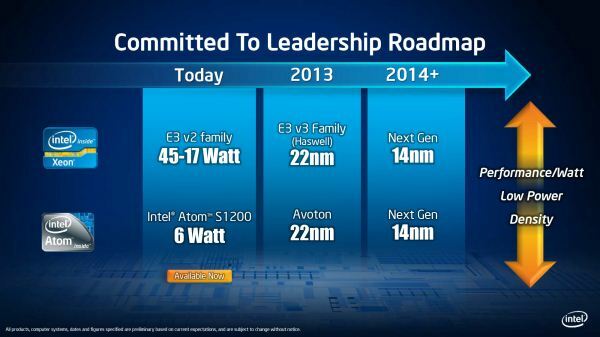 Beyond that, Intel is also planning a 14nm successor to Avoton in 2014. If Intel finds success in the S1200 series, then this will set up the S1200 series and its successors to be the second prong of Intel’s server CPU offerings, similar to the relationship between Core and Atom today in the consumer space. With the forthcoming release of Haswell we have seen signs that Intel is intending to push Core into some of the space currently occupied by Atom, but all the same this two-pronged approach has worked well enough for Intel’s consumer CPUs, and is something Intel is clearly going to try to replicate in the server space. ARM will have to break through this first rock, then more bigger rocks behind. 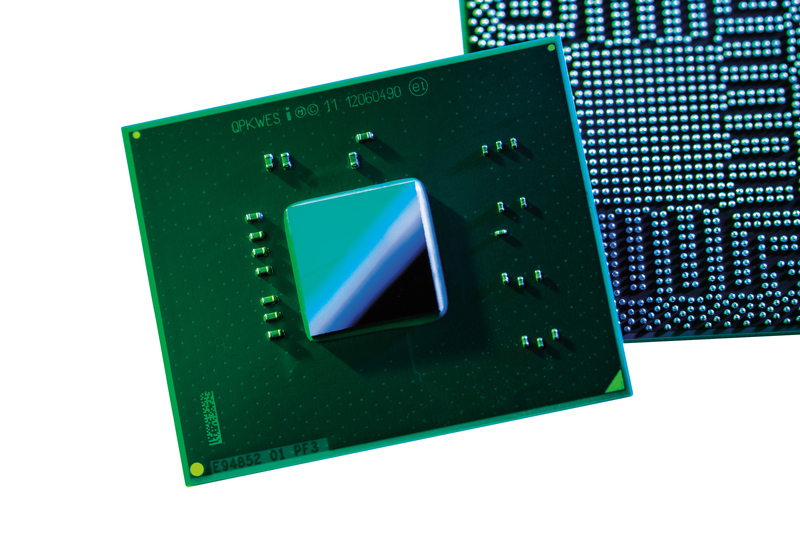 Even ARM can get their CPU ready by next year, there is a long lead time needed by server OEM to certify new product. Coupling with the new architect, new software, and everything, it is really a long road. "Though Intel has not confirmed it, coupled with the fact that Centerton uses a new socket (FCBGA1283), we believe that Centerton is a new Atom design rather than just being a server-branded version of Cedarview." How different are you talking? Different atom core entirely? Or just a different die with slightly different stuff on it? Different in that it's not just a Cedarview rebrand. It's a unique die, similar to how Intel's 2C IVB parts are different from their 4C IVB parts, or 4C SNB-E is different from 4C SNB. Basically you're looking at a Saltwell-based SoC with a more capable IMC (for ECC) along with a PCIe controller supporting more lanes. So if Intel adds ECC support, 4 more PCIe lanes etc. they have to integrate it in the SoC. But this means more pins are required. So they have to change to a different Socket with more pins. Thus, it's a bit far fetched to say that Centerton is, because of the socket change, a newly designed Atom. The CPU core is most probably plain old Cedarview, whereas some parts in the SoC got replaced with server specific things which require more pins but consume less power. Seems like AMD could just use their Atom equivalent which is better anyway. I'm confused by Atom (or ARM) for servers though...what are they good for? I mean is Atom/ARM actually more efficient than Intel (or AMD)'s mainstream CPU lines? Yeah those use more power-but they're also vastly more powerful. Atom has comparably terrible single threaded performance too, which of course can matter in any environment depending. For me, the biggest advantage I see is VT-x support on the Atom CPU. That will allow me to run VMWare ESXi or something similar on the base hardware of an Atom system and they run some OS on-top of that with having minimal impact on performance. At least for home, I use an Atom based system as my low-power routers and for other general purpose linux systems. Being able to virtualize it makes it easier to manage.